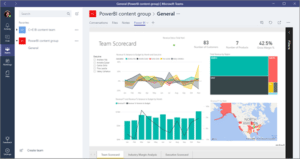 Power BI teams up with Microsoft Teams - What is Power BI? Power BI is a suite of business analytics tools to analyze data and share insights. Monitor your business and get answers quickly with rich dashboards available on every device. Microsoft Teams automatically detects all the reports in your Power BI groups and in My Workspace. Transform your data into insights for your Teams. 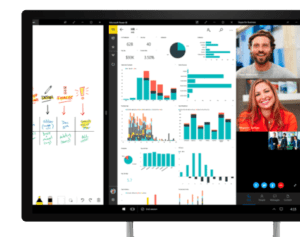 CloudAssist is a certified Microsoft Power BI partner and a Microsoft Surface Ultimate seller to enable your teams with the right dashboards on the right device to assist them to make the right decisions. You can now access the Power BI dashboard from your Microsoft Teams portal! Share and collaborate with your team like never before! Contact us to bring the power of Power BI to your team.